No words……to say. Thank u very much. wonderful collection… many tks… Does anyone has a fully biography about Munir Khan… I only know that he belongs to Indore Gharana as pupil of Amir Khan… and that he studied together with Ahmedjan Thirakwa (Tabla), son of Hussein Bux Khan, who was born 1891 ( Source: http://books.google.de/books?id=yySNDP9XVggC ). 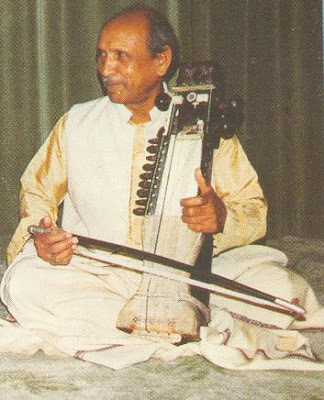 One of Munir’s own pupils seemed to be Ustad Habibuddin Khan Sahib ( http://wn.com/Ajrada_gharana )…. You seam to confuse the Tabla player Munir Khan with the Sarangi player Munir Khan (student of Amir Khan) here. They are from different generations. I would like know the whereabout his son Zameer Ahmed,he was my classmate. Shri Zamir Ahmed Khan is in Delhi and travels to Holland on a regular basis. I have traced him after a period of thirty years. HIs contact number in India is 9929378602.